Almost 20 years ... 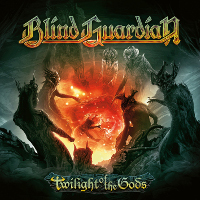 It's the time who Blind Guardian take to write his orchestral project ! Since the beginning of Nightfall In Middle-Earth, the project exist and has never been abandoned but is seems 2017 will be THE year for this album. We still are working on that. I hope to be finished with everything, including mixing, at the end of 2016, but I doubt that there is a chance that this is going to be released [in 2016], but it will be released in 2017. It is new material. We started writing these songs, I would say, almost twenty years ago. When we did [1998's] Nightfall In Middle-Earth, we figured that there were some songs which would not fit in because they were too orchestral, and at that point, we just thought, 'Well, it would be a waste to have a band involved, so just the orchestra and the singing would do the trick.' And ever since, we've built up these songs and came up with new ideas, and they changed a little bit with each album we were working on. Because the progression the people [in the band] were going through had an effect on the songs we were composing. Even though they were different than the regular stuff, they contain a little bit of each era. And this is the interesting thing. But they fit together really well. And just by listening to the music and the vocals, you have the feeling of a great, gigantic, Lord Of The Rings-ish story, and this is what we are intending to make even more obvious to the people by releasing it as we originally intended to have it. Later on, we may even involve the band, because it is possible. There are, I think, eleven or twelve songs we have composed so far, and we are working on interludes and some reprises and stuff like that at the moment. But at the very end, once this tour is finished, I'm going to sing all the stuff. And there are a lot of different characters and they will be all performed by. You know, it's a lot of storytelling, so it's going to be nice to see how people will react on it. And we have worked with an orchestra from Prague, and it's great to see them back this year. We are intending to have two more sessions here for the reprises and all the stuff, and then we are basically done. And I hope that [longtime Blind Guardian producer] Charlie [Bauerfeind] is going to be finished with the mixing, let's say, in November [or] December [of 2016]. About the next live album, all records have already been made and according Hansi, this would be a great best-of "the best songs in the best concerts" and he adds that it is interesting to see how "the fans evolved with the evolution of the group itself"; a DVD should be included in this album but nothing has been decided regarding its content, whether it should be the album or if it would include bonus content. Long awaited by americans Blind Guardian fans, it's official now, it's of course the North American tour of the band! With no less than 24 dates at this time, 5 in Canada, the band will travel across US roads with at his sides the members of Grave Digger ! Just pass through the Red Mirror and follows this link: lyrics of Beyond The Red Mirror. The bonus songs are also avaible: Distant Memories and Doom. The bootlegs section also been updated with some recordings of the At The Edge Of Time tour: bootlegs 2010 - 2012. We remind you these recordings are not official, we certainly not encourage you to buy them! Once again, the fans have spoken. 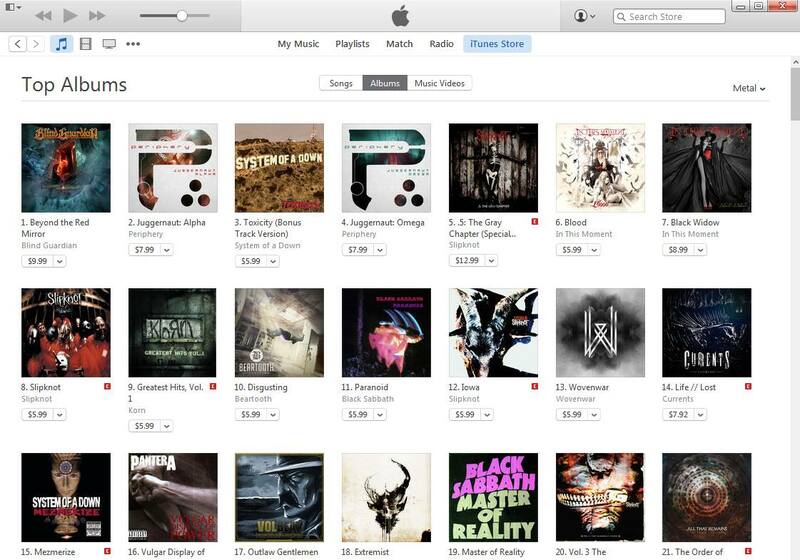 With the support of one of the most loyal fan bases in the worldwide heavy metal community, Beyond The Red Mirror has attained high chart entries all around the globe. 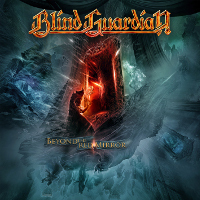 For the 5th time in their career, Blind Guardian entered the top ten media control charts in their native country Germany, debuting on #4. In Austria (#08) and Switzerland (#10), Beyond The Red Mirror granted the highest chart entries by the band till now. Haven't had a chance to listen to ‪Beyond The Red Mirror‬ yet? Listen to the complet album (with the digibook bonus) that everyone is talking about below!